I'm reading Brighton Rock by Graham Greene at the moment. Throughout the book, set in the seaside town of that name in the late thirties, the characters are always sending out for or popping into public bars for bottles of Bass and Guinness, confirming a couple of things I think we already know. 1. The popularity of bottled beers, especially non-deposit pale ales, between the wars as an alternative to sometimes unreliable draught beers, prefiguring the arrival of keg beer in the 60's. 2. 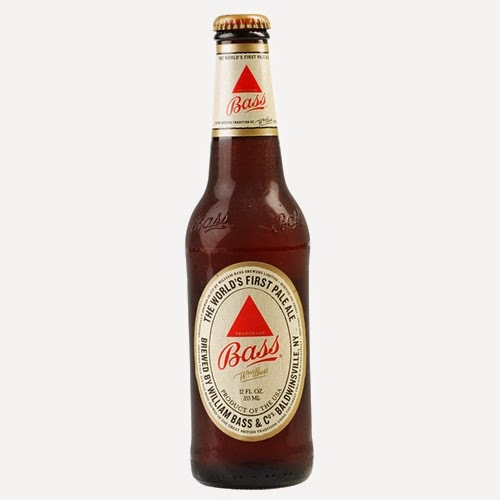 That Bass was a national brand and, as Guinness still is today with stout, had become almost a synonym for bottled pale ale.